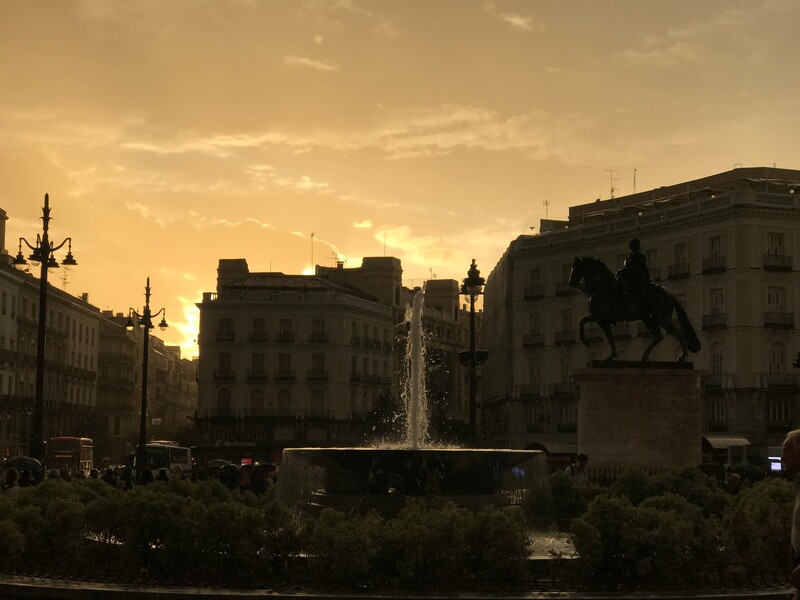 In this week's post, Payton talks about visiting her friends over fall break in Madrid and Paris, and shares what their study abroad and daily experiences are like over there compared to hers in Florence, as well what she has learned about herself thus far. Ciao! I just got back into the swing of things after an amazing fall break spent visiting Paris, Amsterdam, and Madrid. I absolutely loved exploring, but, of course, started to miss Florence, and was ready to come home after a long week away. 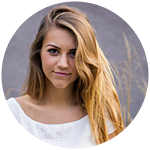 I stayed with friends that are also studying in Paris and Madrid, and it was really interesting to see how their experience differed from mine. 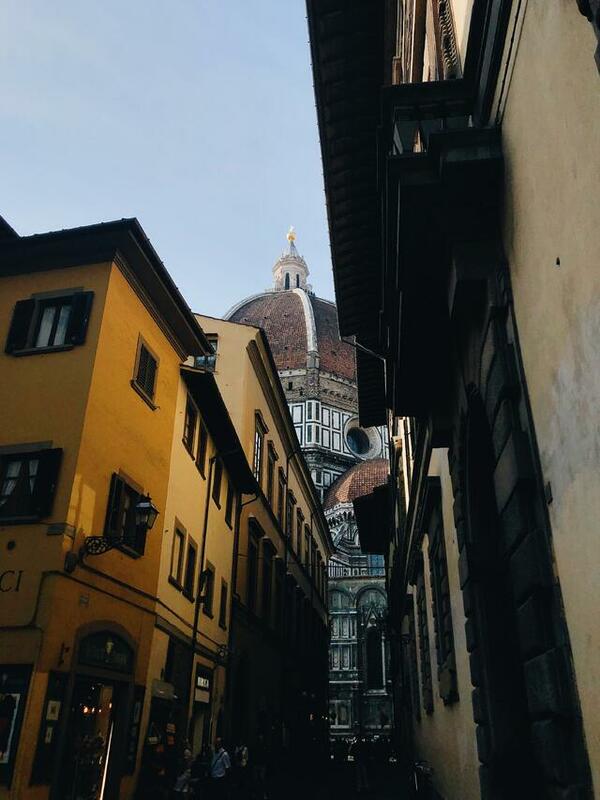 Although there were a bunch of awesome things to appreciate about studying in those cities, it made me realize everything I love about CAPA and Florence, and why it’s such a perfect fit for me. 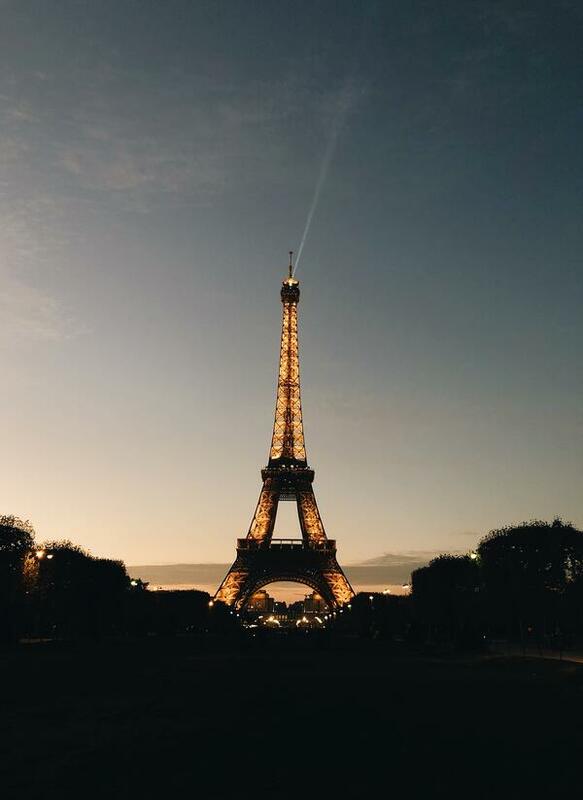 The iconic Eiffel Tower in the big, charming city of Paris. Paris was breathtaking in a very different way than Florence. Both cities are so charming, but Paris is much bigger and more spread out. Student housing is all over the city, and everyone takes the metro to get just about anywhere, including their classes. In Florence, everywhere I want to go is within a 30-minute walk and I never have to use public transportation within the city center, so relying so much on the metro to get around was definitely different. Although I do think that living in a big city would be a very cool experience, I find that I like living in a smaller city like Florence, because it’s easier to keep up with my studies and familiarize myself with everything, being that the semester is only 4 short months. Another thing that I noticed about Paris, is that French is very hard! It’s technically a Romance language like Italian and Spanish, but isn’t pronounced like either. Needless to say I struggled to both speak and understand French while I was there, and unlike the local Florentines, the Parisians are not too keen on speaking English or trying to understand your imperfect pronunciation. That’s another thing that would take some getting used to, but my friends that are studying there this semester told me about a two-week French language intensive that they were required to do before the semester started, which seemed like it helped a lot. We may not need a program like that quite as much in Florence, but it’s still really great to be able to learn the language, at any pace! I loved visiting Paris, and my friends have a blast there, but personally, I’m not sure I could live and study there for a whole semester. Taking in the sunset and fountain in Madrid, Spain. Madrid was also much bigger than Florence, and comparable to Paris in a lot of ways. They also love their metro, and the student housing can be a decently long ride away from class. Although I do live farther away from CAPA than most of the students in my program in Florence, it’s nice that I still live within walking distance. My boyfriend, Wylie, is studying in Madrid this semester and absolutely loves it. What I find interesting about his particular program is that he takes his classes at an actual university in Madrid, with Spanish classmates. This sounds like a very cool and authentic study abroad experience, and like a perfect fit for him. I, however, enjoy taking classes at CAPA and through their curriculum, because it is 100% catered to our study abroad experience. The curriculum relates specifically to Florence and Florentine culture, and takes into consideration that we will only be there for 4 months, and we spend a great deal of time in class exploring the city and it’s numerous cathedrals and museums. 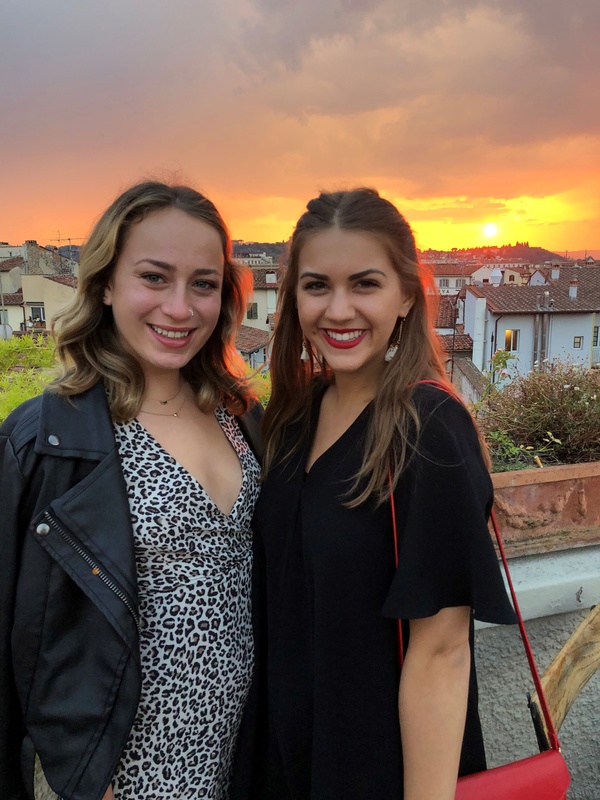 I am still able to feel immersed in the culture, because all of our professors are either Italian, or have been living in Florence, and they offer great insight into what life is like here through their lectures, field trips, and even in casual conversation. What I did prefer in Madrid, however, is that it wasn’t nearly as crowded. Despite having some really awesome sites, Madrid is not considered a tourist city in the same way the Florence is, so their high season ends with summer. In Florence, however, the crowds seem to last all year round, and since the city is more compact, they can sometimes be hard to escape. This can get a bit annoying, but is only a minor inconvenience, made up for by every amazing thing that this study abroad program has shown and taught us about Florence this semester. Finding an escape within Florence's close quarters to the Duomo. I’ll admit that I was a bit nervous that I would find a city that I liked more than Florence on one of my many travels in Europe, but, fortunately, this hasn’t been the case. Although I’ve visited many wonderful places, I am always reminded of how great Florence is when I arrive back home. It’s the perfect city to study abroad in, due to its size and rich history, but CAPA is what really makes the experience. My friend, Anna, and I in Florence, our home for the semester! All of the My Global City events, volunteer programs, classes, field trips, tips, and resources that they provide us with have enriched my semester abroad in so many ways, and I could not imagine studying through any other program, in any other city. Paris and Madrid have many of their own perks, as does every European city that you can study in, but I can confidently say that Florence was the right choice for me, and I’m so glad that I made it.